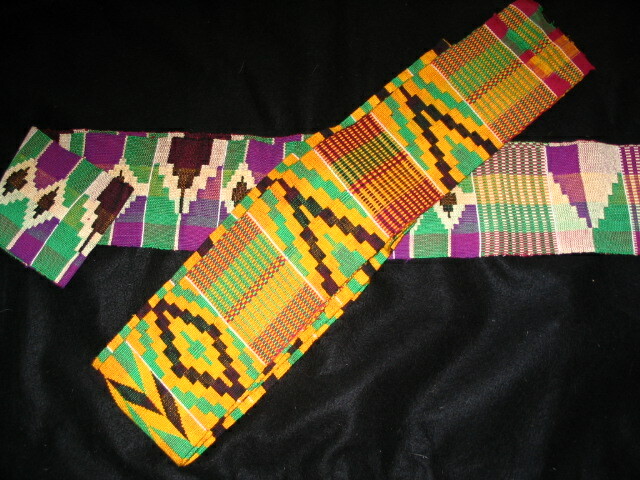 What: Kente Cloths, strips of fabric woven by hand in the colors that represent Africa. Strips are sewn together to make cloth. Always woven from cotton threads. When: Celebrations: Weddings, Births, Graduations, Ceremonies to bring in new leaders; Whenever you want to respectfully show your African heritage. Where: Most examples from Ghana, worn in Africa, America, and wherever people show African heritage. 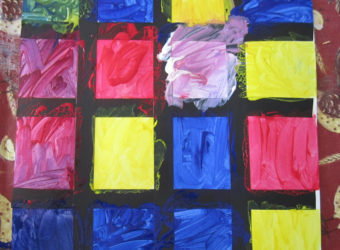 Discuss the difference between geometric and organic shapes and lines. 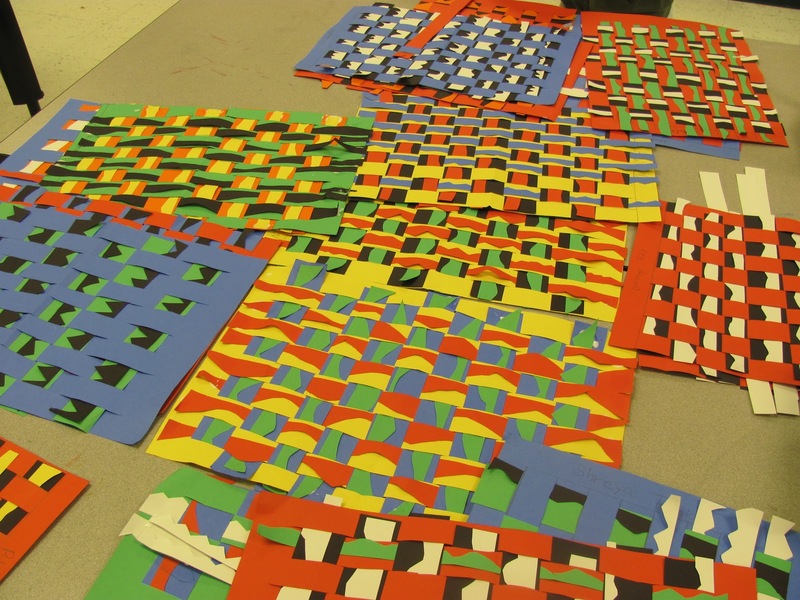 Direct students to design geometric patterns of stripes, squares, diamonds, triangles, etc. on the paper strips. Pass out trays of paint, brushes, water cups, and paper towels. 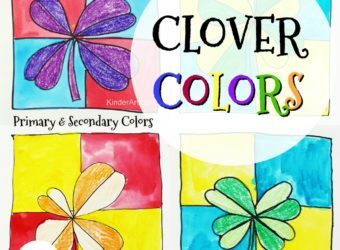 Remind students that the colors are very important in Kente cloth, so they should do their best to keep the colors clean and not muddied. 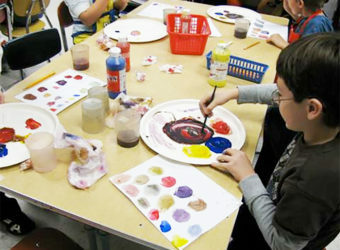 When the strips are dry, it is sometimes very effective to use a black marker to outline the shapes and stripes. It gives the paper an embroidered look. This is your choice. I display these strips on a black paper covered bulletin board with posters informing the viewer of the history of Kente cloth. 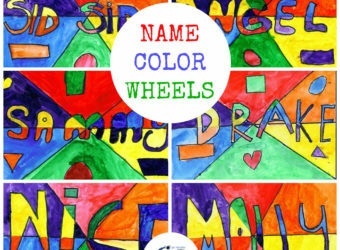 Students often make these types of posters or writings in Social Studies during Black History Month. *Note: This project looks really cool using pieces of colored yarn and glue instead of paint! Just substitute tagboard for the white paper. You can weave or sew the strips together or display them individually.